The California Genealogical Society is pleased to offer a class in collaboration with the Society of California Pioneers at their beautiful facility in San Francisco. 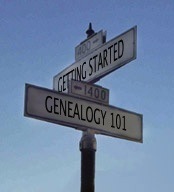 Genealogy 101: Getting Started is more than an introduction to the basics. 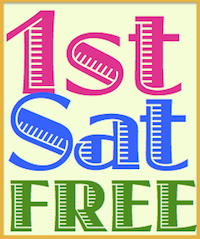 Beginners will be given blank family group sheets and pedigree charts and will learn how to navigate in the genealogy world. But experienced genealogists, too, may pick up some pointers and be reminded of techniques to use and new places to search for their elusive ancestors. The handout includes some essential websites to use. The class is free and open to members of both the California Genealogical Society and the Society of California Pioneers. Preregistration is required. Registration confirmations will be emailed to registrants. Lavinia Gilbert Schwarz was born and raised in the East Bay. She is a third generation northern Californian (and third generation Cal grad) who has traced her roots to France, England, Scotland, Ireland, Holland, Germany, Cuba, and San Domingue (now Haiti). She has been a member of the California Genealogical Society for twelve years, and spent five years on the Board. She presently coordinates the CGS Research and Lookups service. A genealogist since 1999, she completed the National Institute on Genealogical Research (N.I.G.R.) program in 2008 at the National Archives in Washington D.C. and College Park, Maryland. To hone her skills she has attended numerous National Genealogical Society conferences including those in Pittsburgh, PA; Raleigh, VA; Sacramento, CA; Durham, NC; Salt Lake City, UT, and Cincinnati, OH as well as visiting courthouses and genealogically significant sites in Maryland, West Virginia, Ohio, Pennsylvania, Massachusetts, New York, New Jersey, Georgia, Louisiana, and California.